If you are on a bicycle, you are not a pedestrian. Therefore, you have to adhere to all traffic laws when you come to roads (Same Road, Same Rules). Which means that you have to adhere to stop signs. You don’t have the right-of-way just because you’re a bicyclist. If you want to have pedestrian rights, get off your bicycle and walk your bicycle. Summer Solstice Bike Ride. Meet at 6pm on Thursday, June 21st at Pedal Power (176 Great Road in Acton). (Contact: Tom Michelman, 978-580-6190 tmichelman@gmail.com). After a short introduction, Treasurer Christine Corr will lead the ride. Generally, it is what people can do in a little less than two hours with a break. Strong bikers and weaker bikers don’t have to stay together. 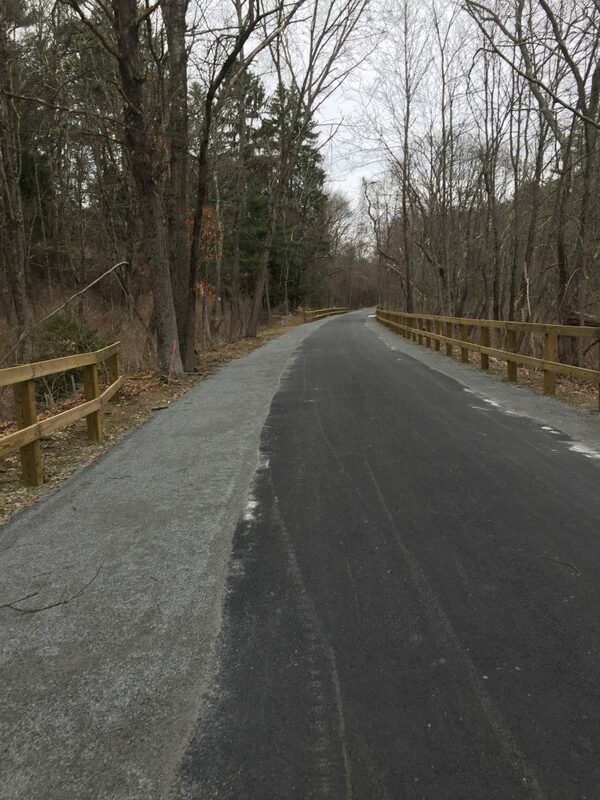 The trail is just behind Pedal Power and which will stay open to greet returning bicyclist. Come by our booth at Carlisle Old Home Day June 23, 10:30 a.m. to 1 p.m. Phases 2B and Phases 2D made it onto the FFY 2019-2023 TIP. Thank you all who wrote in or attended the May 24th meeting and supported the BFRT. We are still in the Environmental Bond Bill (though it has now morphed to H4613. $1,000,000 allocated to purchase the right-of-way from CSX in Framingham.